If you haven't heard of the website Cohorted, you're seriously missing out as its a beauty lovers dream. I was first introduced to the site soon after they launched last year and ever since I've been so impressed by what they have to offer. 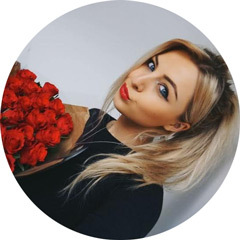 They're a site where you can purchase high end beauty products at discounted prices by joining one of their 'cohorts' which live on their site every Monday'. There's four new products available each week and all of them are from very well known brands such as Benefit, MAC and Urban Decay. You can find more info on their site here but basically a cohort is just a term used for a group of people who want to purchase a product so if you like the look of a product, you join the cohort to purchase it. For example, they recently sold the Urban Decay NAKED Basics 2 palette and the more people that join a cohort (agree to buy it), the cheaper the product will sell for. The discounts are fantastic and can be up to 50% off on some of the items so its well worth checking out if you want to get your hands on some high end products but don't want to spend a fortune on them. Their most recent Cohorts included products from MAC, Dior and Ciate with all of them selling with at least 20% off. 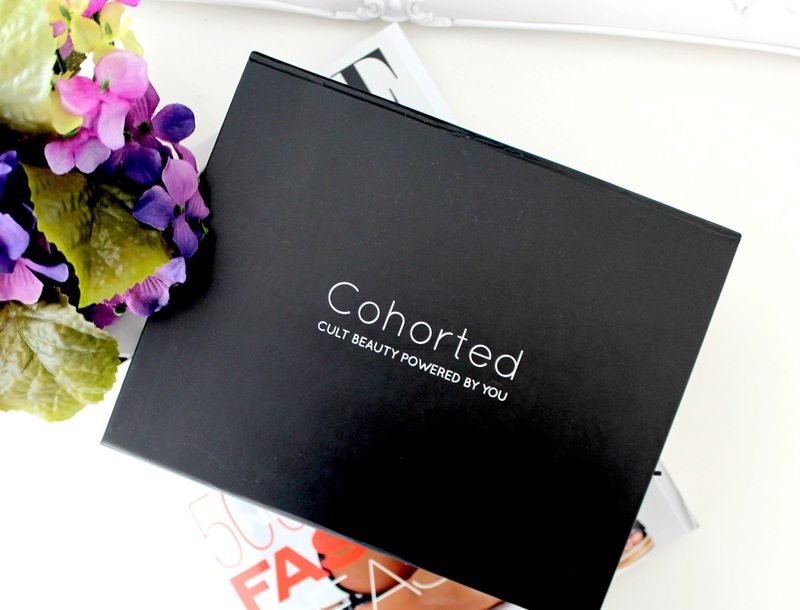 On Monday 9th February, Cohorted are releasing their very own beauty box which will be available to buy from their site for only £19.99, despite the contents being worth a whopping £67.50. I was lucky enough to get an exclusive sneak peek at the box before its launch and I have to say, I'm very impressed. It came presented in a lovely black box with a ribbon wrapped around it (which isn't on the photos as I was so impatient and had to open the box before I took them) and the products are tucked away nicely inside. Its a very sophisticated, chic and grown up looking box! Unfortunately I can't show you what's inside the box as Cohorted want to keep it as a surprise but I can tell you there's five products in the box, all of which are from well known brands and three of them are full size. There's also two generously sized samples so you can be assured that you won't receive any teeny one use only sachets in this box (I hate beauty boxes that include these as one of the products). I can also tell you all of the products inside are makeup or skincare so if that's your thing, I'm sure you'll love this box. I was particularly excited to see one of the makeup items which costs £14.50 to buy in shops so for an extra £5.50 and four more products, its great value for money. There's only going to be 100 of these boxes available so if you like the sound of it, make sure you keep your eyes peeled on the Cohorted website on Monday for your chance to buy one. There's also going to be five lucky people who receive one of the beautiful Hourglass Ambient Lighting palettes with their box too. I have to say, I'll be very jealous of whoever receives one those as it looks so beautiful! I'd say this box is well worth its £19.99 retail price and if you fancy treating yourself and having a selection of surprise goodies delivered to your door, this is the one for you! Will you be ordering yourself one of these boxes? 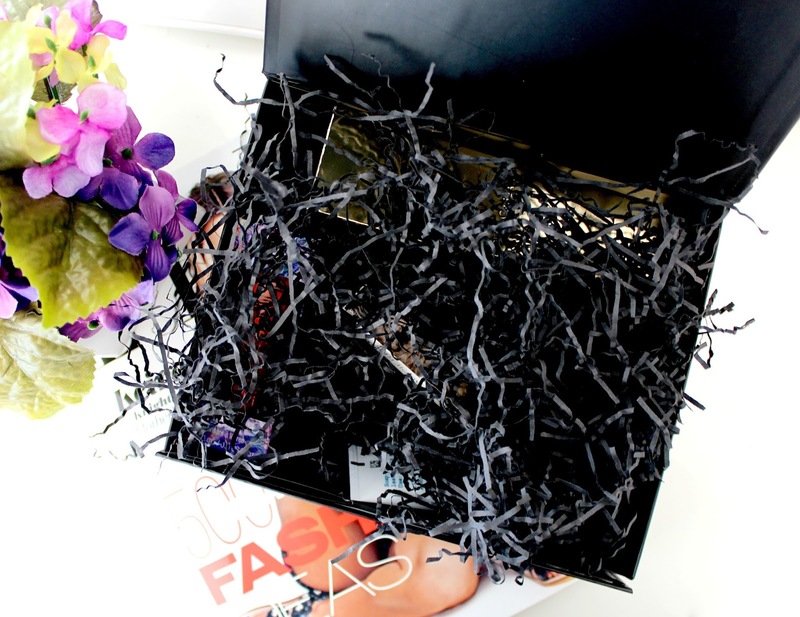 i really want to try out one of these beauty boxes! This is so exciting, I love Cohorted so much! Eek I so wish I could see what's inside, sounds too good to be true! Cohort is such a great concept! Would love to try their products! this beauty box sounds amazing! Sounds like a great idea, almost groupon for exclusive beauty! This is such a clever idea I may have to investigate further. I really want to check this out!